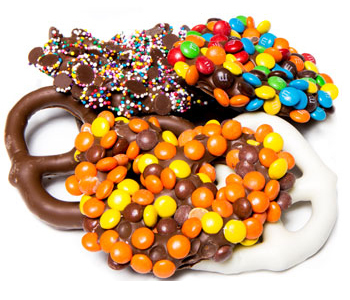 Our gourmet pretzels are topped with the finest chocolates and come in white, dark and milk chocolate. 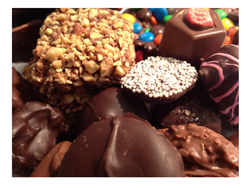 They are the perfect blend of sweet and salty! 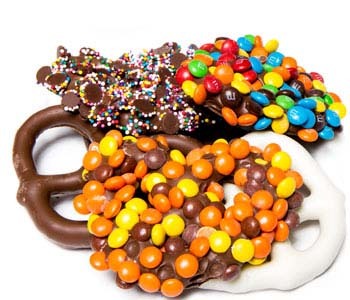 They are also topped with some of the most delicious candies made, including Reses Pieces, M&Ms and Toffee candies.